I feel so left out. I don't have Instagram (or stopped having one 2 years ago). I haven't had Peanut Butter M&M's in a long while. Thanks for bringing back vivid snacking memories for me! ;) Looking beautiful as always. Nice outfit you are wearing here. my cell phone also had a great cam so I know how you feel:) I take photos all the time, the only thing stopping me from overdoing it is that I don't know how to transfer the photos from phone to my computer. Haha, instagram can be very addicting! Love this picture! Whoo, I love instagram! Welcome to the iPhone family! Enjoy your iPhone and Instagram! 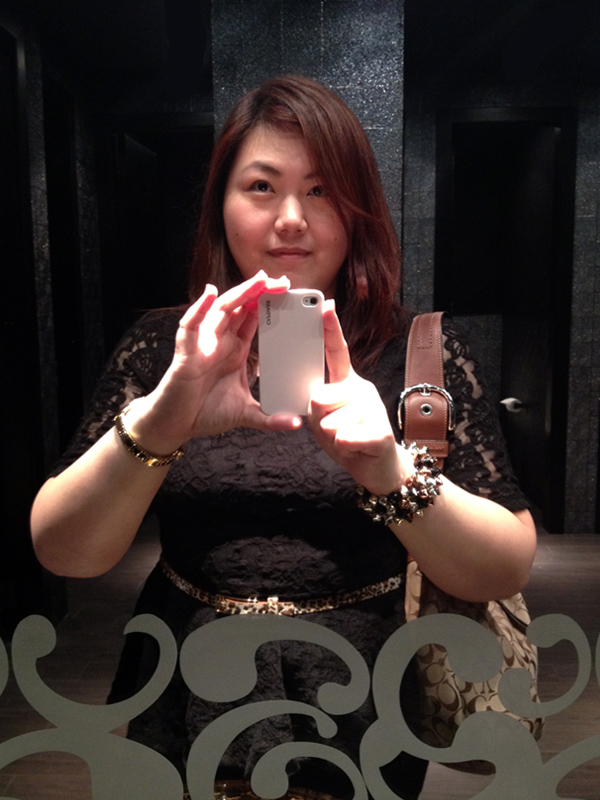 Anyway, love your lacy dress and peplum! Do they have those in white? ?